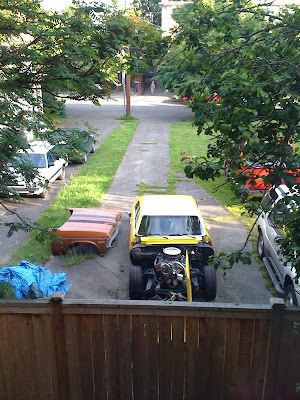 As noted in this previous post, there's hot rod in the yard behind mine. Lo and behold, this weekend's nice weather resulted in some action on the hot rod front. First, a front end arrived. Aha! It's a Nova! Then a flatbed truck arrived to take it away. New owner? 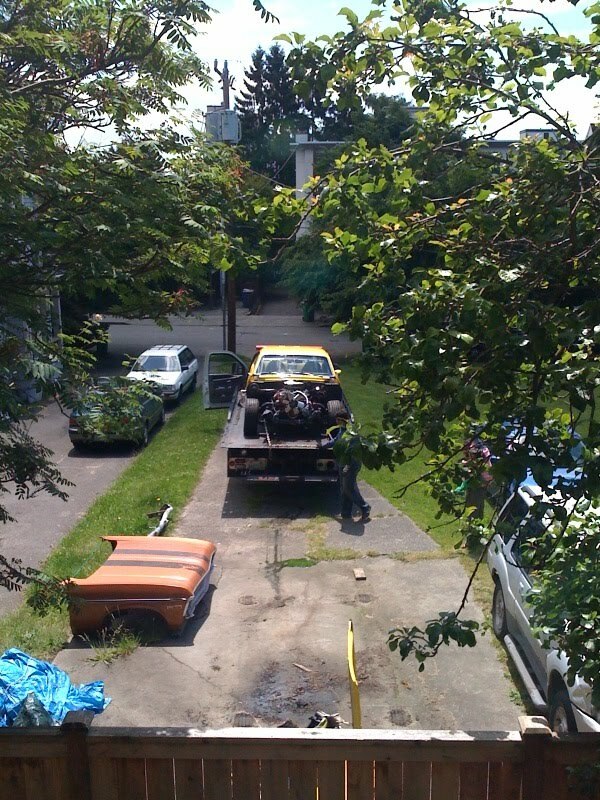 Off to a shop to complete the retrofit? Requisitioned by the government for a crack undercover operation? Theories are rife! OMG - An oil spill in Ballard! Reminds me of Hitchcock's Rear Window.